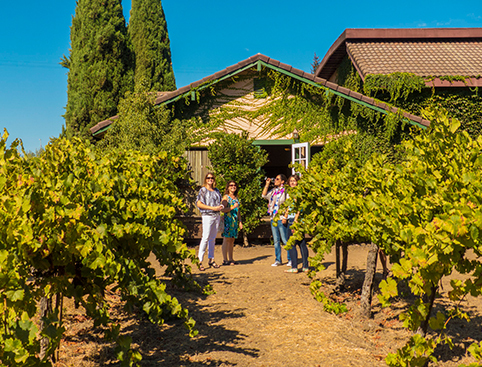 Explore California’s wine country on a half-day tour. 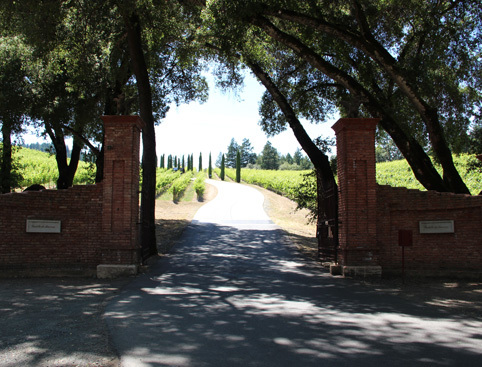 Travel across the Golden Gate Bridge into the Carneros wine region town of Sonoma. 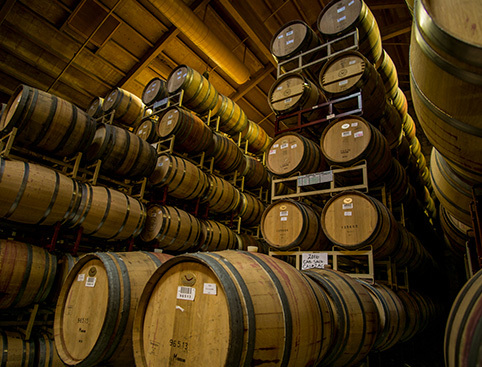 Enjoy wine tastings and visit wineries producing some of the best California wines available. We will then contact the local tour operator to confirm your reservation. Within 48 hours you’ll receive your e-ticket. What: Escorted Tour with guide, in a climate-controlled motor coach. Available: Daily except Christmas Day. Don’t Miss: Learning how some of California’s best wines are produced (and getting to taste them)! Busy days soaking up the sights and sounds of San Francisco will no doubt leave you craving some relaxing time with a glass (or bottle!) of the finest local wine. 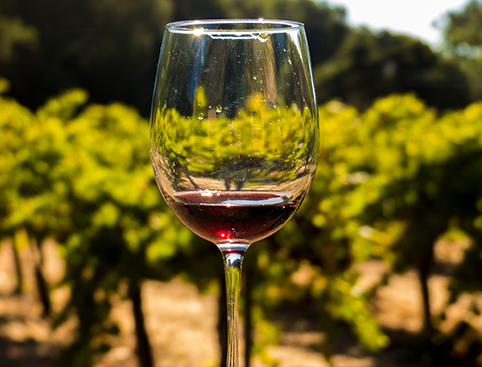 Now you can do even better than that – you can actually see where that wine comes from and how it’s made with a tour of the world-famous California Wine Country! This is San Francisco’s only half-day wine tour – perfect if you can’t spare a full day but don’t want to miss one of this region’s major highlights. You’ll depart at midday and head north across the Golden Gate Bridge into the Carneros wine region in the town of Sonoma. Here you’ll visit some of California’s finest wineries, from individual boutiques to huge mass-producers. 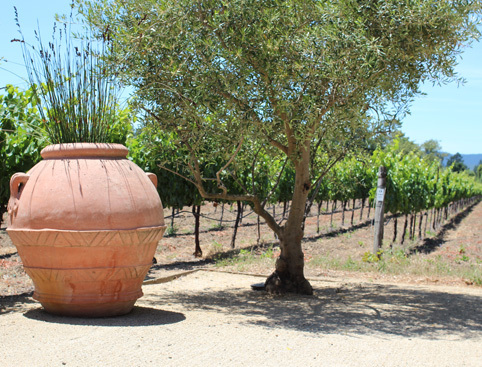 This is a unique chance to observe the wine-making process and enjoy tastings as well as amazing views of the vineyards and picturesque Sonoma Countryside. If you’re visiting San Francisco and are a fan of wine, this is one tour that’s not to be missed! The Wine Country Half Day tour departs from Fisherman’s Wharf, heading north across the Golden Gate Bridge. Short photo stop at Vista Point, with spectacular views of the bridge and the San Francisco skyline. Journey up Highway 101 and through the heart of Marin County to the Carneros wine region in the Sonoma Valley. You’ll visit some of California’s finest wineries, from individual boutiques to huge mass-producers. Here you’ll be able to learn about the wine-making process, sample the wine and enjoy the spectacular views of the Sonoma vineyards and countryside. The tour is fully narrated by a professional and knowledgeable guide, and lasts around 5-6 hours in total. Hotel pickup is available in the Downtown area (Union Square, Financial District, Nob Hill, Lombard Street, Embarcadero and SOMA) but need to be booked in advance. Customers must reconfirm the tour with City Sightseeing no later than 24 hrs prior to departure of the reserved tour in order to receive exact pickup time and further details. Children aged 4 and under go free! However if you are bringing a child aged 4 or under, it’s essential that you let us know by calling us on 0844 873 0070 as soon as you’ve made your booking, as all participants must be listed. Vouchers must be redeemed with the driver of the tour or with City Sightseeing - 1331 Columbus Avenue (between Beach Street & North Point Street). Escorted Tour with guide, in a climate-controlled motor coach. This tour departs daily at 12pm. Wine tour, narration and transportation. Wine tasting fees, meals, gratuities and souvenirs.